I just completed this little kitchen project. As most of you know, I don’t use my kitchen drawers or cabinets due to previous rodent problems. Rather than worry about this, though I haven’t had problems in months, I have chosen to just bypass these normal ways to store food and dinnerware altogether. Instead I use free standing furniture and vertical storage. 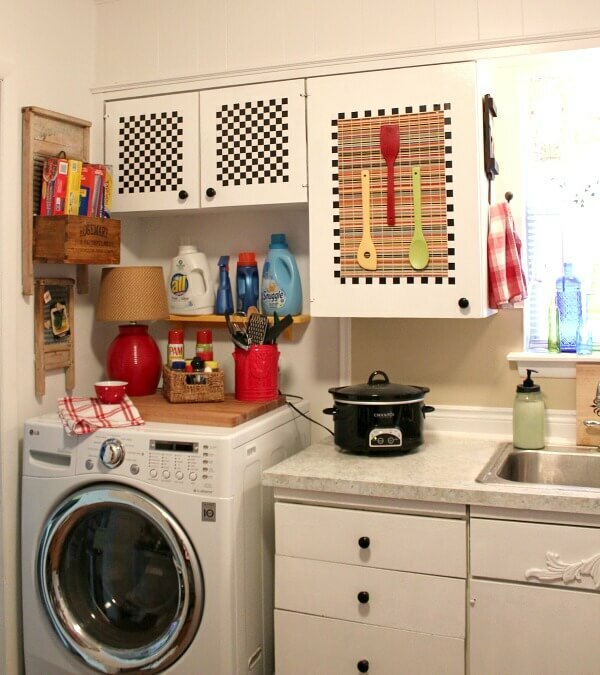 Vertical storage is vital to living in a small space. I implement vertical storage in every way I can. I chose one of my old vintage wash boards, and decided to add the box to it to store my frequently used kitchen items like Saran Wrap and aluminum foil. After I chose a wash board that I thought would work best, I chose one of my nesting herb boxes that I’ve had for years. I put both on the floor and tapped a nail in toward the top of the wash board. Then I put a couple of nails in the wall to hang the wash board, and hung the lip of the wash board over the nails. I don’t like things that move about, so I used putty I usually get at Hobby Lobby that is for keeping framed paintings in place on the wall. I rolled up a bit of the putty and placed it behind the nesting box on either side. And also on either side of the back of the wash board to keep things from moving when I reach up for, say, aluminum foil. It was so easy and was done in 5-10 minutes once I figured out what I wanted to do. Then I took another one of my wash boards, a smaller one, from the closet (my storage space for all my unused decor) and added it underneath the other one. Because this corner is where my European-style washer/dryer is, I felt it appropriate to decorate with the old wash boards. 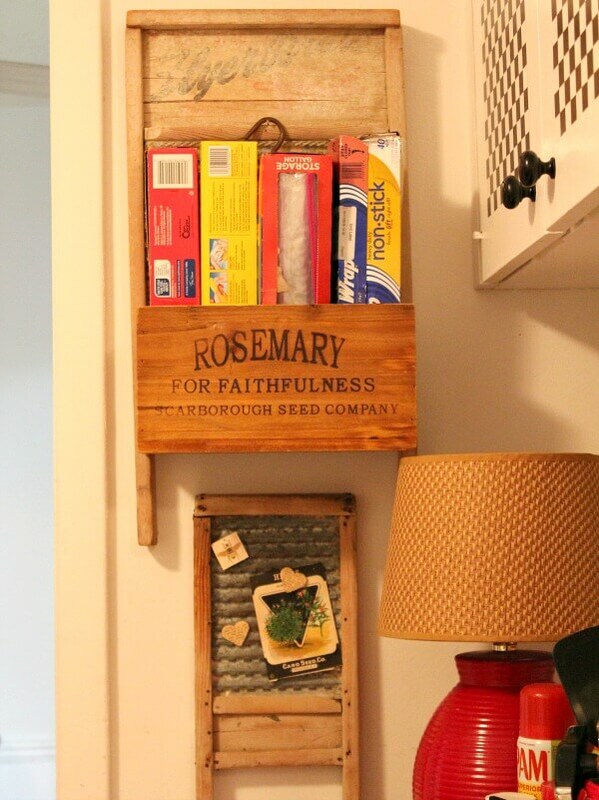 And also utilize that wall to store the kitchen items where they’re always close at hand. 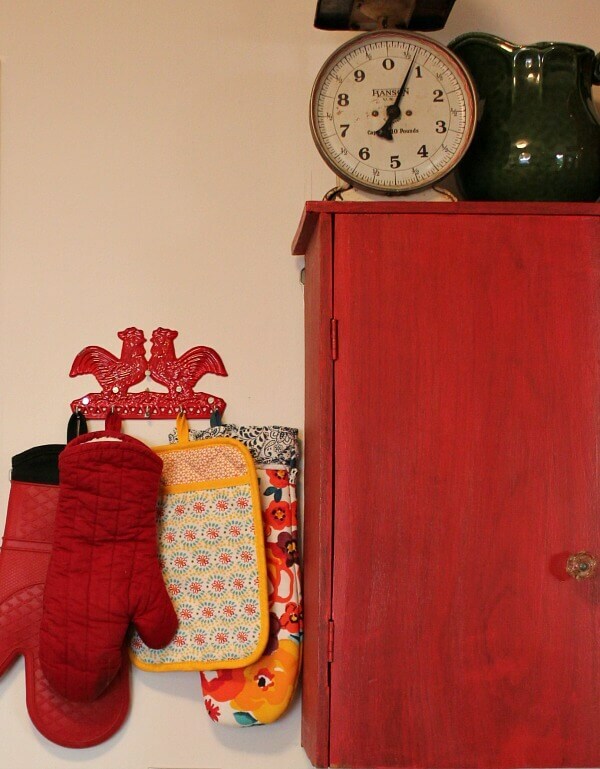 Hey, when you live in small digs, it’s important to use multi-purpose items to decorate as well as use for storage. Another kitchen tip: I used to have all kinds of spices in jars in my spice arsenal. But I really didn’t use very many of them in my cooking. So I now keep the ones I really need in this little basket close to where I prepare food on the counter. Because keeping all those spices was really wasteful and eventually they got old and were essentially unusable. 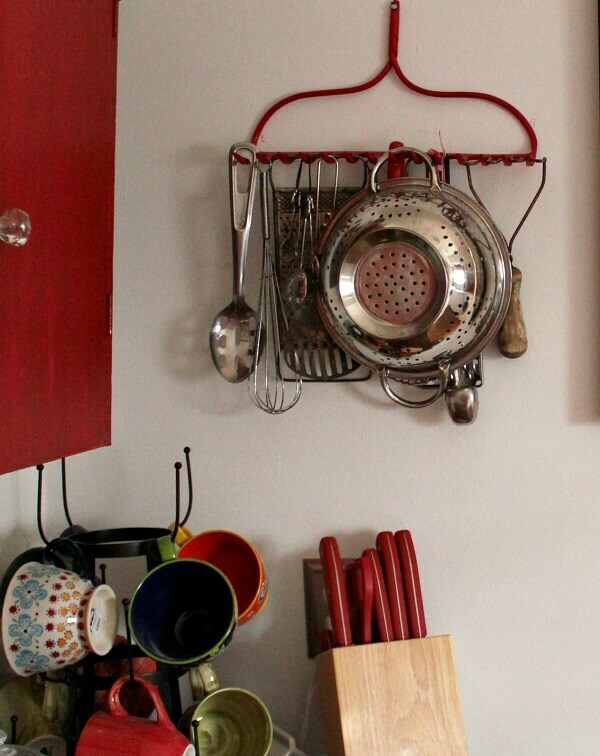 All of the above photos show you ways to implement vertical storage in your kitchen. Most of you know that I do not have a kitchen stove in my apartment. Three years next month when I moved in, I had them take it out to make room for my washer, which has to be hooked up to the kitchen sink for water. I wrote about what small appliances I use here. And I cook anything I want. You just have to look outside of the box. 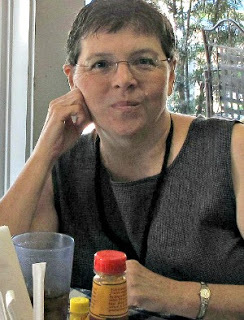 Hi Brenda! Oh, I love the little wash boards, my little mother always called them 'rub boards'. 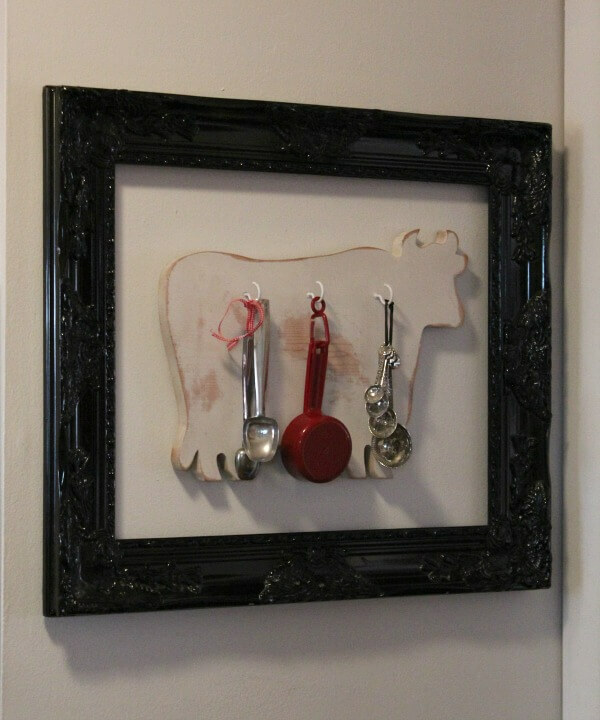 That's a great idea and the little cow under the frame – darling! Hope you're doing well. Hm. Well, you just click Read More and go all the way down till you see it. Sorry! You always amaze me with all the inventive ways you find to store your kitchen necessities and they are all so cute too. Thanks for the shout out, that chicken and dressing really is so good. I think I need to put that on my list to cook this week too. Your home is so cozy and makes a person feel so relaxed and welcome. You are so creative in your storage solutions, I get great ideas from you all the time. 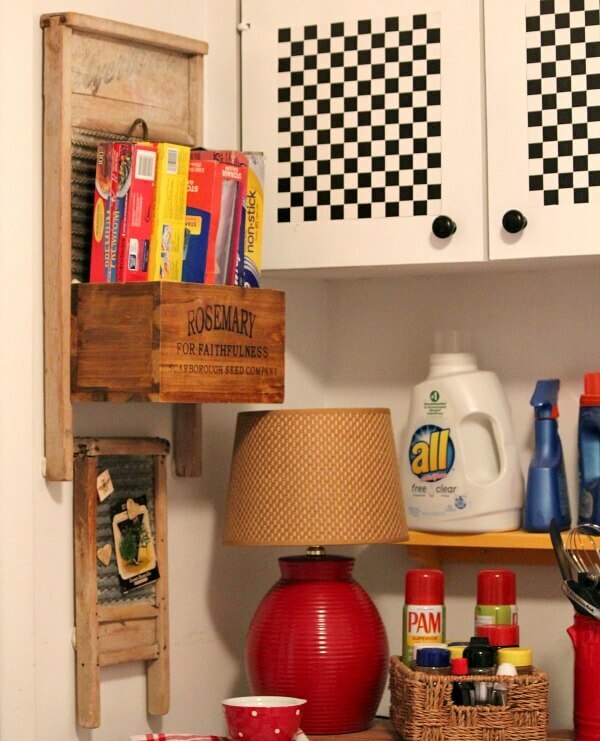 You are so creative in your decorating and finding great storage in small places. What wonderful ideas and they look great in your home! I enjoy your blog and look forward to it everyday. Just curious since you don't use your cabinets for food and dish storage. What do you put in them if anything? I don't put anything in them. I like all your vertical storage ideas. Great use of space done in a creative and visually appealing way. Love your profile picture, Brenda. Very pretty. Great storage solutions. I love Marty. It's fun watching the progress on her new house. You create the neatest ways to store things. I enjoy reading your blog each day to see what you have done. Thanks for sharing all your ideas. I am always inspired when I see what you do with your small space. It's all so clever! You have such neat ideas, Brenda. I share many of them with my daughter who likes your style, too. Now I'm off to check out the chicken and dressing recipe! I really like how you have the kitchen tools hanging from the rake. If the mice are gone, why don't you keep things in your cabinets anymore? Once in a while, I have the same problem as Butterfly 8)(8. No matter what I try, I cannot access Comments. But I do enjoy your blog.